Myra came to us back in 2005 after working four years at Office Depot. She graduated from Cal State Fullerton also in 2005, obtaining her Bachelor’s Degree in Liberal Studies. She is a California native (one of the few) and grew up in nearby Diamond Bar, CA. Myra and her husband Brian were married in 2013 (but have been together since 2004!) 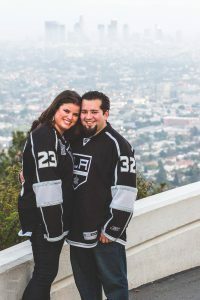 and are avid LA Kings hockey fans. They were there at Staples Center on June 11th, 2012 to witness the Kings winning the Stanley Cup for the first time in franchise history. And then lucky enough to see their second Stanley Cup win in 2014. Such an exciting moment to be a part of. 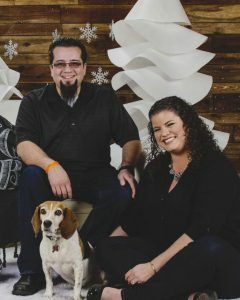 Myra and Brian live close by in Costa Mesa, CA with their dog Cassie, a beagle.